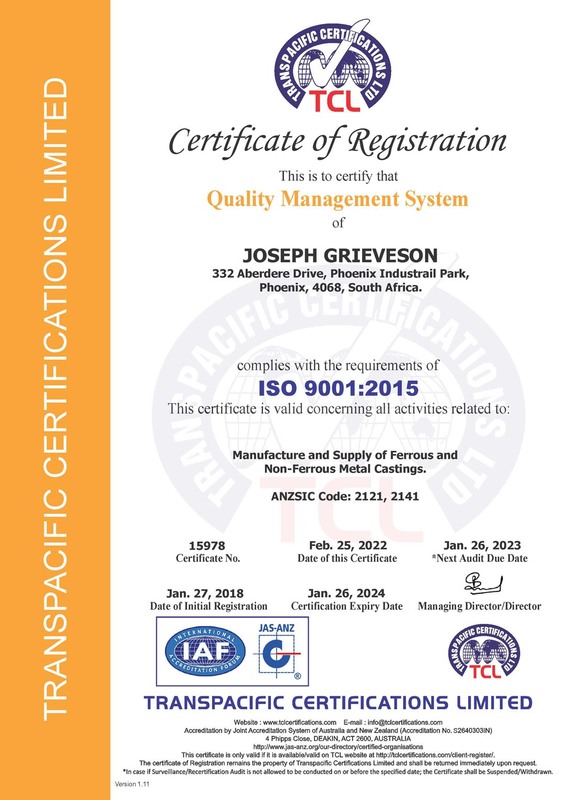 Joseph Grieveson has been assessed and found to meet ISO 9001:2015 Quality Management Systems Requirements. 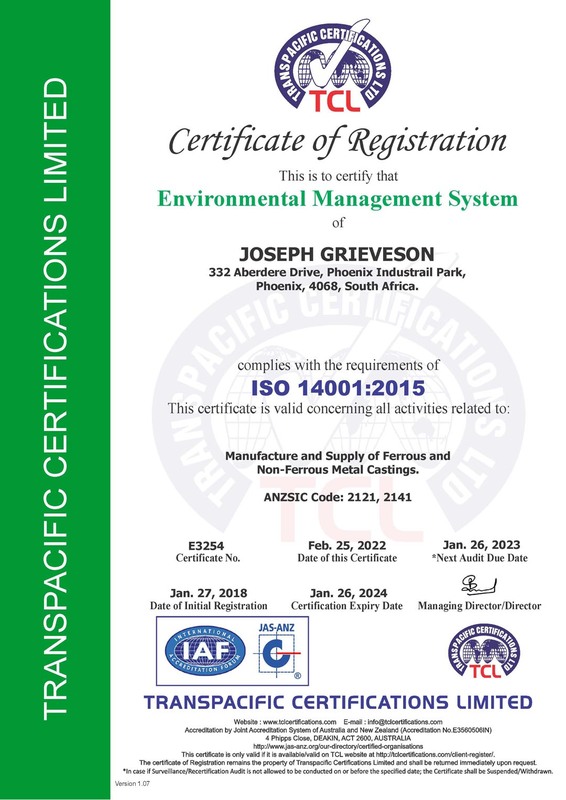 Joseph Grieveson has been assessed and found to meet ISO 14001:2015 Environmental Management System Requirements. Joseph Grieveson has been assessed and found to meet ISO 45001:2018 Occupational Health & Safety requirements. Joseph Grieveson as a business unit of HUDACO Trading (Pty) Ltd, is a Level 3 Contributor to South Africa’s B-BBEE code of practice. 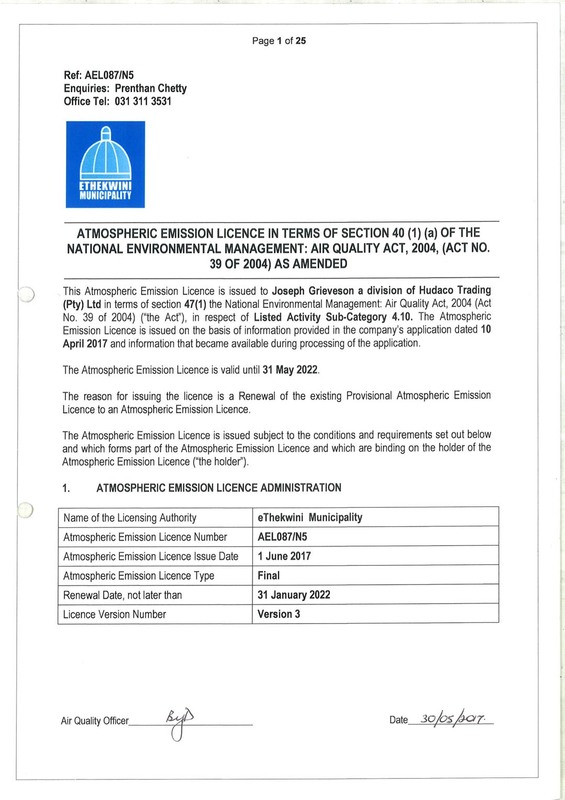 Joseph Grieveson is licenced with regard to its air emissions and adheres closely to the Air Emissions Policies of the eThekwini Municipality in KwaZulu-Natal, South Africa.